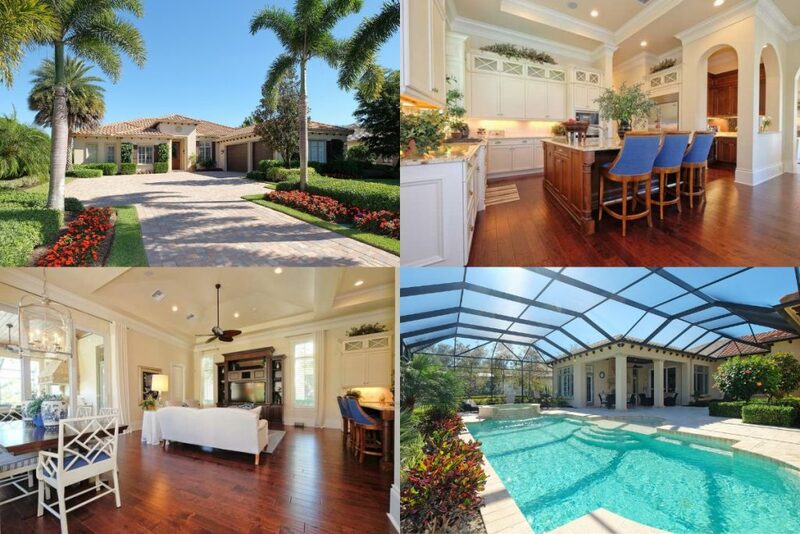 Levitan Realty > Blog > Uncategorized > FOUR OPEN HOUSES IN QUAIL WEST THIS SUNDAY MARCH 24TH FROM 1-4PM! SOUTHERN LAKE & GOLF COURSE VIEW! Situated on almost an acre with long lake and tee-to-green golf course views, this home is the perfect location in Quail West. This 4BR/Den estate home features an indoor & outdoor fireplace, light and bright interior, open kitchen/family room that opens to the covered lanai. Open pool deck of approximately 3,000 sq. ft. features an infinity-edge pool with cascading water features down to the spa and pool. Special highlights to this home include hurricane protection, full house generator, total pool resurfaced in 2017, new main water heater in 2018, new water heater in master area in 2017, all new appliance (except stove) in 2015. This home also comes with a 3-1/2 car garage with room for 2 golf carts.